Centrifugal slurry pumps 6; Metso model HM 75, centrifugal slurry pumps, high chrome contact parts, 3"x2"; 250mm dia impeller, frame #250, overhead mounted motors with guards, nominal rating as used with 15HP, 42.2 cubic m./hr@ 29.9 m. 13; Metso model HM 150, centrifugal slurry pumps, high chrome contact parts, 6"x4", frame # 400, overhead mounted motors with guards, nominal rating as used with 40 HP, 199.1 cubic m./hr@ 178m. ; nominal rating as used with 25 HP, 198.3 cubic m./hr@ 13.3m. 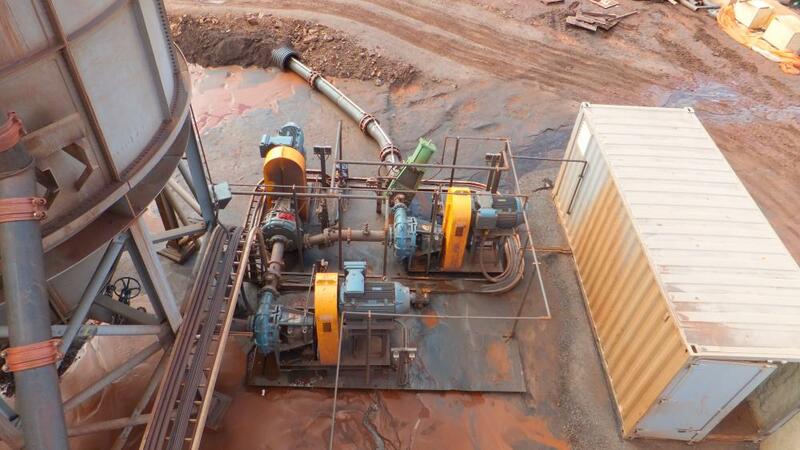 8; Metso model HM 200, centrifugal slurry pumps, high chrome contact parts, 8" x 6" frame # 400, side mounted motor on base. Nominal rating as used with 250HP, 650 cubic m/hr@ 48.3m. 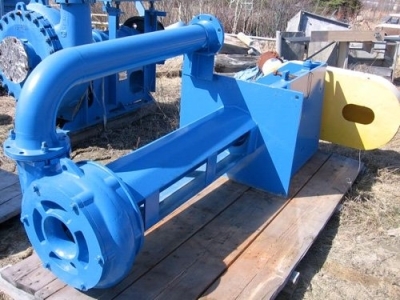 1 Metso model MM 200 LHC-S, centrifugal slurry pump with rubber lining, 8" x 6"; nominal rating as used (process water) with 25HP, 360cubic m/hr@ 7.3m . 1 SALA model VASA-G 150-336-6C, 150" frame length, 6" dia. discharge, closed impeller, sump pump, less motor (60 HP recommended). 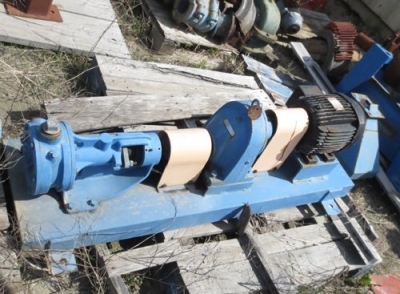 1 Used model J124 Viking positive displacement pump, 3 HP (3/60/575 â€“ 1750 rpm), with Eurodrive 2.48:1.